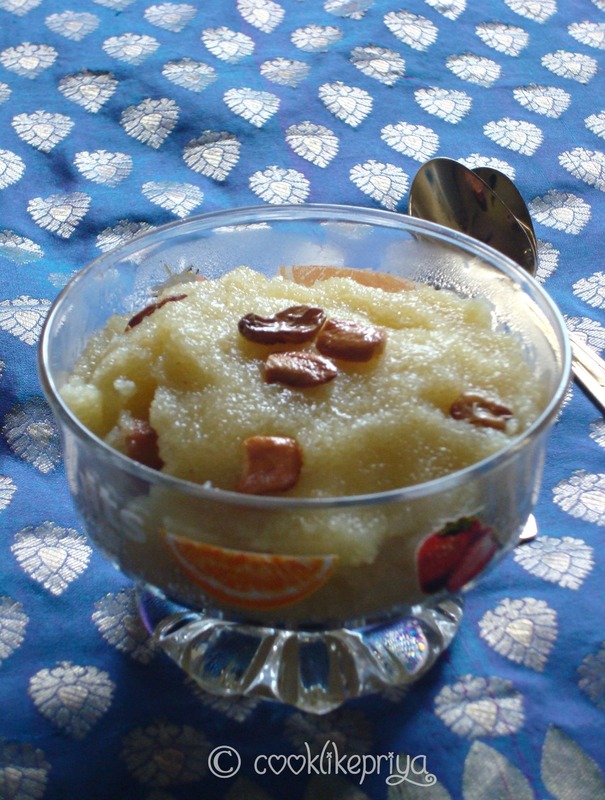 Rava Kesari is one famous and quick to do South Indian sweet. 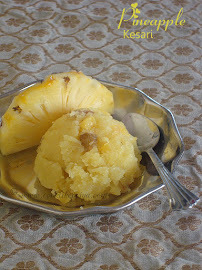 There are so many versions of kesari online and I am sure each one of us have a method to make this sweet. But of all recipes and versions I have always been this big fan of Adyar Ananda Bhavan Kesari, if you live in South India I recommend you to visit this restaurant and order a plate of kesari, you are sure to fall in love with it. Let me be clear this is no promotional post for Ananda Bhavan or did I get their secret recipe. After many attempts at making this kesari, I did have a good taste of this kesari this morning for breakfast when we went to a close by Ananda Bhavan and with every bite behind my mind I was trying to understand how the recipe is made what ingredients are there and how it gets its taste, on the other hand I had my husband simply enjoying the melt in mouth kesari ;-) long story short I came home and tried this sweet this evening and it turned out an almost close version to the kesari served in A2B. 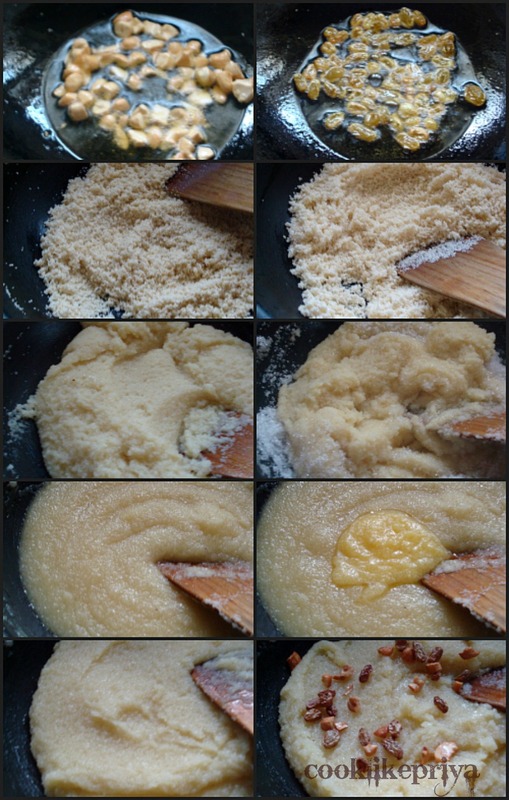 To know if this recipe is a killer you got to try it to know it :P Do we need excuse to make sweets? No right? 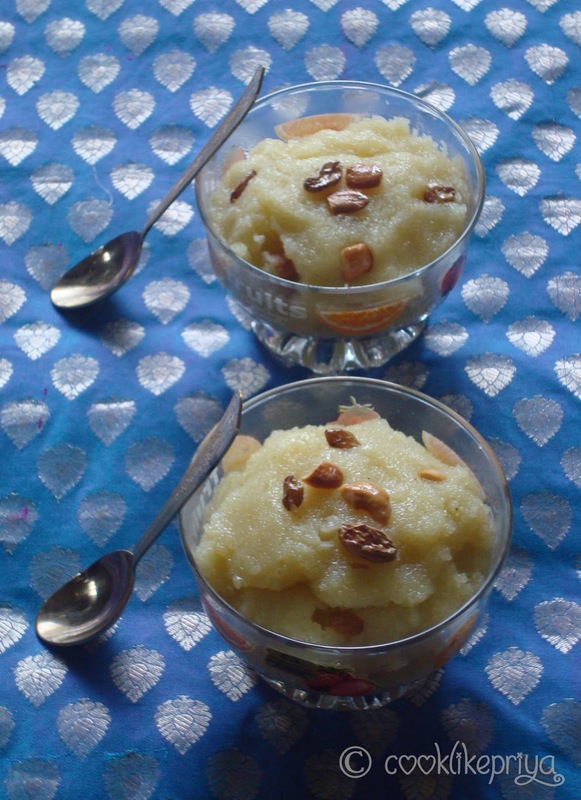 I must admit that this kesari version uses 4 tbsp ghee than the usual home version you gotto remember that this is sure a special sweet so reserve it for those sweet moments and occasions. 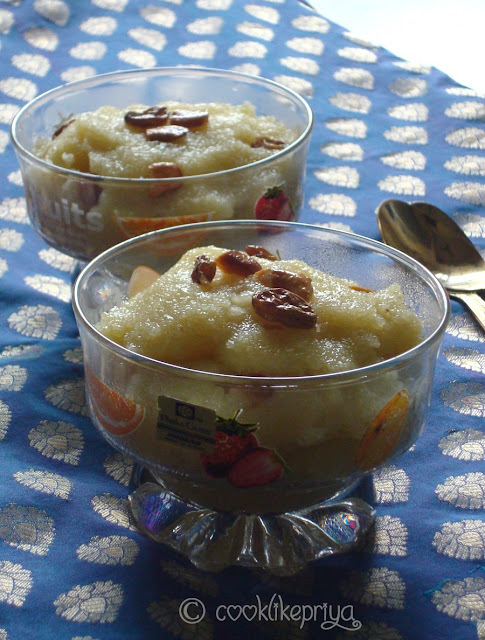 The trademark taste of A2B kesari is mild sweetness, melt in mouth texture, mild yellow tint and topped with nuts, raisins. Also when you taste this kesari you will not find a trace of cardamom/ elaichi as A2B does not use this ingredient in their kesari. The rava pearls are cooked soft, melt in mouth texture and each spoonful is a sure heavenly bliss. Slowly add the boiling water to the roasted rava and stir frequently to avoid lumps, mix well, add food colour and flavouring now (if using) and let it cook, you can use a lid to cover the pan. This would take 3-4 minutes to get cooked. Now add sugar to the rava and toss continuously until the sugar melts and mixes well with the cooked rava, make sure that the rava is fully cooked before adding the sugar. 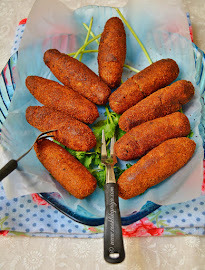 Delicious and inviting kesari. Wonderfully prepared. Delicious kesari, priya. Beautiful click. 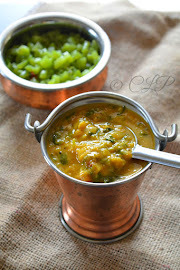 Droolworthy rava kesari, i cant stop with just a bowl, delicious!! Looks so good. 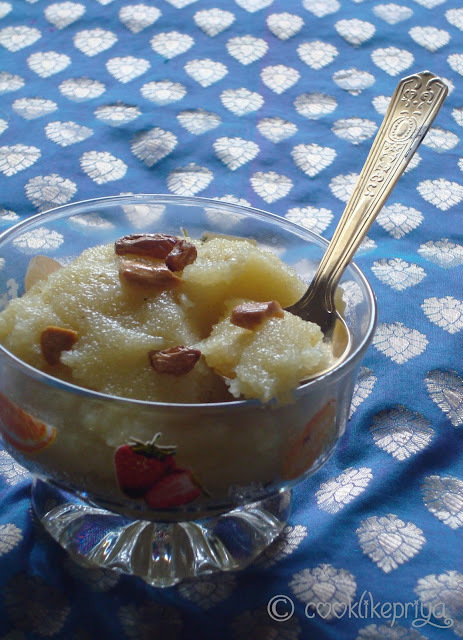 my daughter doesn't like it loaded with ghee so I make the northie version of this sheera. will post it soon. less sugar n less ghee. 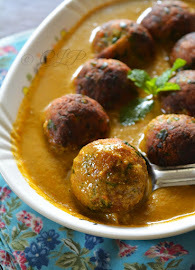 rava kesari looks delicious ! tempting clicks.. Felt like I had the kesari in A2B! very yummy luking kesari n again new header ha..nice...n d blue cloth(I think it is saree)luks too good..
wow thats an very very well explained recipe with pictorial :) rava kesari looks absolutely delicious and tempting me dear !! :) love the way you have presented !! Mouthwatering kesari and adding kesar essence in kesari is new to me. Its good to see that u didnt use color ! some times i like to take as such :) good one ! 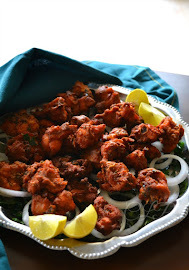 Excellent and mouthwatering ..... Pics look delicious. 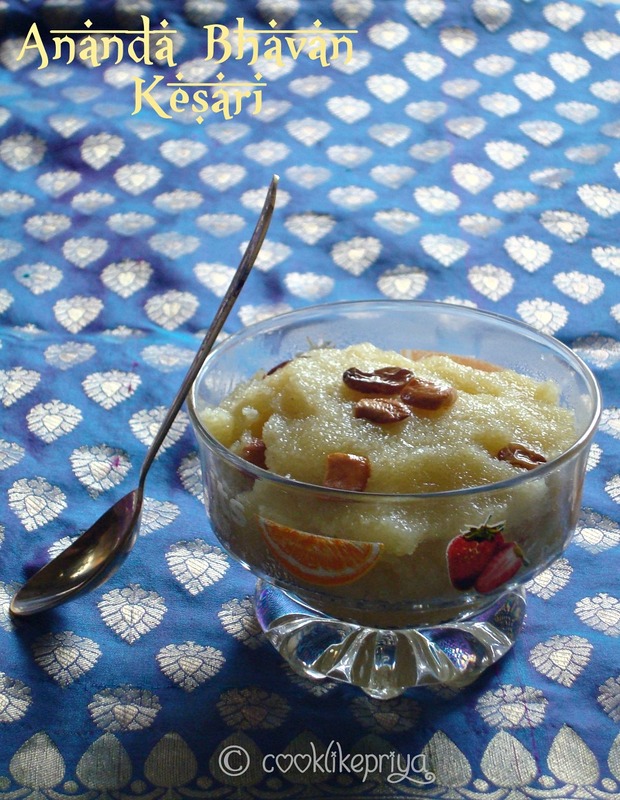 Delicious kesari, looks very tempting..
Looks delicious , a wonderful sweet done in few minutes. Drooling over your kesari. looks so inviting.